Creating a family chore chart can be the first step in getting your kids to help around the house. It can also be the beginning of individual responsibility that will follow them for the rest of their lives! Giving your kids chores to do – and creating a family chore chart that works – can make a huge difference in how smoothly family chores become integrated into your daily life. The problem I ran into is that the family chore chart became a chore in itself! The first rule of chore charts… is that they should reduce your stress, not make you crazy. So if something isn’t working for you, move on. There are lots of options on the internet that you can find with a quick Pinterest search – but I have found my needs are a lot simpler than a lot of those color-coded charts. For one, my kids are 5, 7, and 18. What they are able to do is very different. And though there are some chore standards, like clear the table and empty the dishwasher, sometimes their chores change based on needs and schedules. Because traditional chore charts were giving me an ulcer (and causing me to spend more time than I wanted to spend organizing chores instead of doing them) – we moved to a rustic looking chalkboard that was super easy to make. Each child (and sometimes dad) gets a list of what needs to be done through the week on the chalkboard. When they finish their chores, the scratch through the item with their own color of chalk (don’t ask me why it matters that they their own chalk color but trust me, it does!) The chalkboard chore system is just an ever-changing, dynamic place where we manage our home. I do really like that this approach gives my kids some hands-on experience with managing expectations and being responsible. No matter what chore system you chose, the placement of your chore chart must be prominent, one that allows everyone to see the tasks required and anything that is outstanding! A great place to keep a chore chart is on the fridge, it is a central location and often held in place by a magnet or two! If you are using a system a little less traditional, think of where your kids take off their shoes when they get home from school? Where do they put their book bags? How do you post chores so they get connected with them when they come in. Don’t forget if you have children who can’t read, images are a great way to highlight the chore that needs doing! You do have options, you can let them choose when to do the chores or you have a set time for when chores need completing, it depends on how your family works as to what will work best for you. As with most things in life, it is great to get something in return for doing something! You can choose to pay for some or all chores, it teaches responsibility and the desire to earn money with hard work! Or in our family, we rotate letting the kids pick what we do for family nights. The person who completed all their chores without being asked gets to pick the activity, restaurant, or treat for the night. 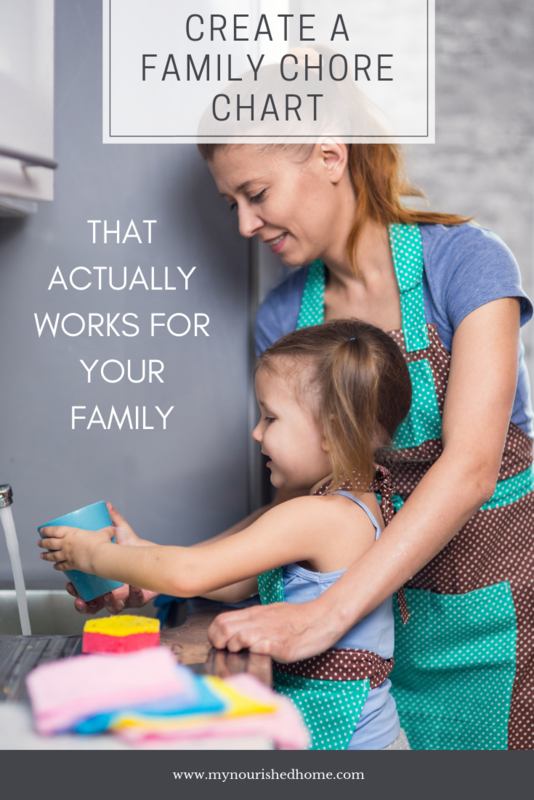 Therefore, spending the time to work out a system that works for your family and is right for you is so important. It will reduce the stress involved with implementing a new system! 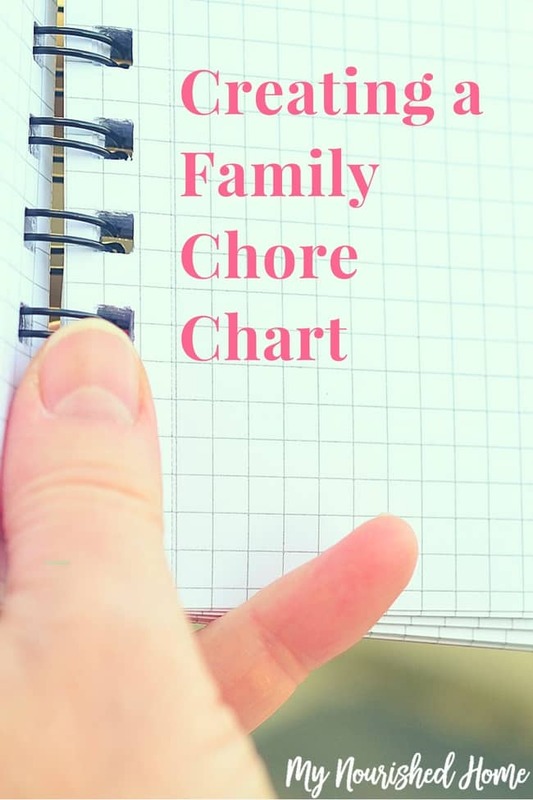 Creating a family chore chart is one of the best ways to get your kids used to the idea that they are going to have responsibilities in the home and also teach them how to take care of and appreciate the things that they have.